The L300 is a game-changing virtual desktop client device. Its sleek low-power design and form factor is easily mounted on a monitor or secured to a desk. 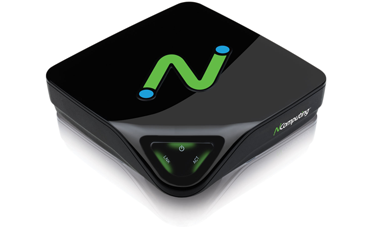 Powered by NComputing’s Numo System on a Chip (SoC), the L300 client device costs less than any other thin- or zero-client options and is a quarter of the cost of typical desktop PCs. With the ability to connect up to 100 L300 user sessions to a single NComputing vSpace server, the combination provides a simple and powerful desktop virtualization solution at one-third the price of traditional alternatives.